I love remembering these songs and singing them now even if they don't remember them anymore. I'm sure there is some witty connection between song and personality that someone who's had more sleep than I could make. Right now, I'm just having fun remembering. I'm posting samples here so I can play them later, but you can listen to them too, if you want to. The Professor was a most intense baby as most oldest children are. Or maybe it's most first time parents that are too intense. His favorite song... Wipeout! He especially loved the drum solo. Sunshine's song is where she got her blog name. Thankfully, we didn't have to sing it Johnny and June style. Shortcake's was a rather jazzy version of Mairzy Doats. 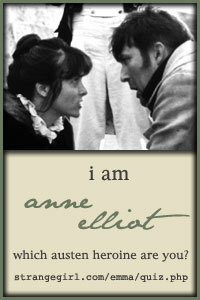 I remember singing myself hoarse when she was hospitalized for 3 days at 15 months old. You can hear part of the jazzy version here. Track 8. I probably should be mortified to admit that one but I'm too tired to care. What can I say... his older brother was going through a huge Star Wars phase at the time. Anyone care to share your baby songs... no matter how embarrassing?! My oldest and youngest liked You Are My Sunshine. My middle daughter I remember singing Amazing Grace! My sister and I sang Cheap Trick "I want you to want me" I can't tell you how many times. He had his days/nights reversed, nursed every 2 hrs til he was 6 months, screamed til he choked in the car seat & I worked full-time. Lots of tears from Mom let me tell you!!! I sang Amazing Grace to all the children as well. That was supposed to say "to my oldest". "I Love You a Bushel and a Peck"...and I'm sure we don't sing it correctly because my mom sang what she remembered of it when I had my oldest. For each of my four babies, this has been THE ONLY song that worked. I love when they've sung it to the babies of the family. That's the song my mom sang to me and she only new a few of the verses because I remember being surprised when I heard the whole song one day. I love that you admitted that. : ) I don't feel so bad about revealing Wipeout and the Imperial March now! It's uncanny how similar we are. I have the exact same thing with my littles. I may copy your post idea and share my kid's little songs. Oldest I could never find a song to calm him down. So very frustrating for a first time mama. Eventually I just rocked and that was his thing, maybe my singing was terrible? Or, he would have preferred an instramental too? My last boy was like my first, no music please just the rocker or veg in the sling. .. In silence. Strange because neither one are shy silent types in fact the opposite. Don't know why the girls ended up with a rainbow theme! This has been one of our favorite traditions. BTW, I love Danny Kaye and am so happy that you shared this post. It brought a smile to my face! Ha ha with my first, I remember being clueless as to what song to sing, and so in the early days we rocked in the chair and I sang "lyin eyes" by the Eagles. So embarrassing. Funny though. Fun post, sweet memories. Faith's song was "My Bonnie." I have no idea why except I sang it and it worked. I remember once I was driving and my mom was in the back with Faith and every time Faith fussed she sang. "My Bonnie" was the only song that worked. With my boys it was almost always "Let Me Call You Sweetheart" just because they are my boys and it was my dad's song to me. 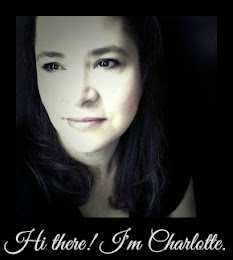 Hi Charlotte, I've seen your blog listed on many other blogs and finally came over to say hello! Your coloring pages are amazing and your generosity in sharing them is a blessing to us all! ...but I see a few of our songs in other people's comments, too. So fun! My oldest's song is "You are my Sunshine." My middle child loved "Twinkle Twinkle Little Star", my youngest loves me to hum the Lullaby. I know sing "I love you up to the Moon (and back) to the two youngest each night. All 3 of them were conditioned to fall asleep after I said the Guardian Angel prayer. Once when driving on a trip the baby needed to take a nap but couldn't fall asleep. I prayed the Guardian Angel prayer and he fell right to sleep. I think Jenny was also a fan of You Are my Sunshine. I used to sing the Divine Mercy Chaplet at bedtime to my sons while I folded laundry in their room. When Katie was born I sang Hail Mary/Gentle Woman a LOT, because I did not feel like a gentle woman at all (3 kids 3 and under!). I don't know about Peter...with Mary, I used to sing Mary, Mary which was a Run DMC song (I think), but the lyrics are horrid (Mary is a prostitute in their version). A relative pointed out that the Monkees did that song first, and it was quite innocent, so we sang that one.